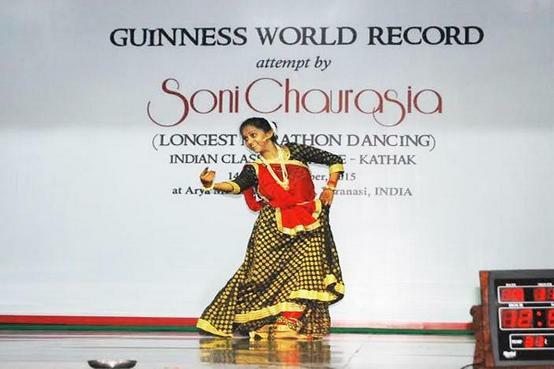 31-year-old Kathak dancer Soni Chaurasiya of Varanasi on Saturday broke the previous record of marathon dancing of 123 hours and 20 minutes.This record was previously held by Kerala’s Hemlatha. Soni began her performance on April 4 at 6 pm on a school campus in Varanasi. While no official from the Guinness World Records attended the performance, two cameras had been installed to record Soni’s each move. Her trainer Rajesh Dogra told The Sunday Express that Soni was allowed to take hourly breaks lasting five minutes. The dancer, however, decided to take a 20-minute break every four hours. During this time, she would take refreshments such as dallia and khichdi. “Evidence of her performance will be sent to Guinness,” Dogra said. Soni, Being aware of health risks associated with continuous dancing still decided to go for it. At hobbygiri, we salute the Brave woman and a passionate dancer for making India Proud. Climbing World Cup is coming to India. On Monday, Dipa Karmakar created history by becoming the FIRST Indian woman Gymnast to qualify for Rio Olympics.